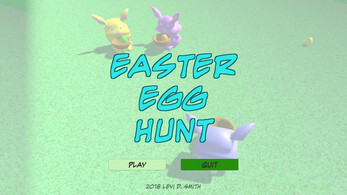 Four bunnies compete to collect the most Easter eggs! 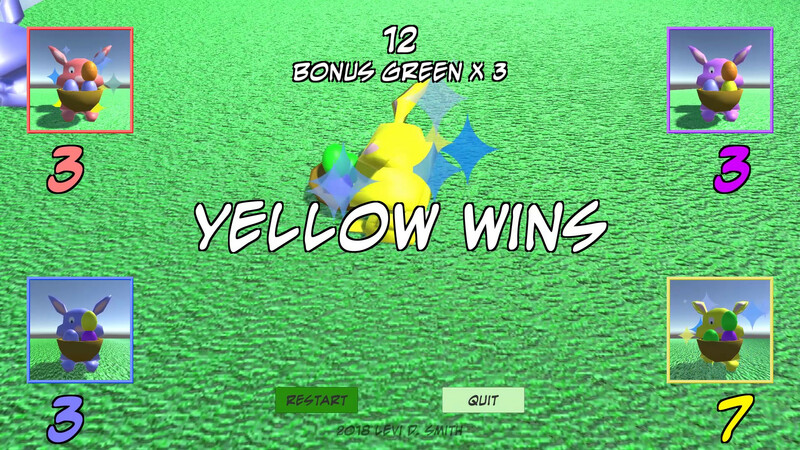 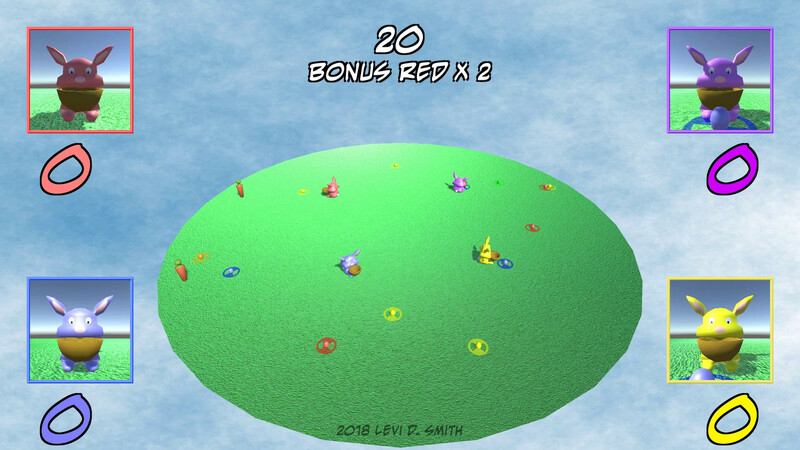 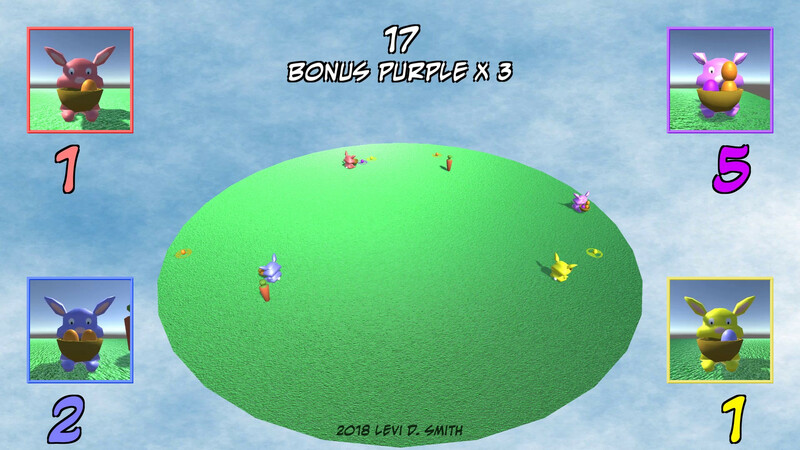 Find eggs matching the bonus color to get additional points. 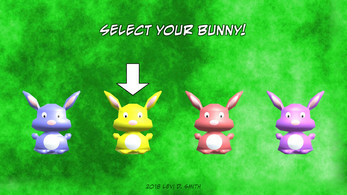 Carrots will temporarily give your bunny extra speed. 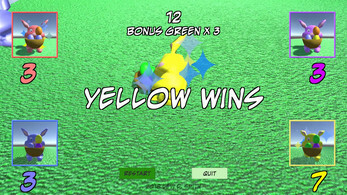 Collect the most points before time expires to win!